What Are The Uses of Diatomaceous Earth? What Is The Best Explanation For Diatomaceous Earth? 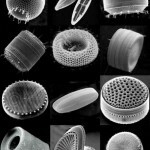 Diatoms are small. The largest ones are only two millimeters in length. These tiny creatures live in a silica shell, similar to a clam, and, when they die, the shell remains. Yet, in spite of their size, Diatomaceous Earth (soil made up entirely of these remaining shells) is so plentiful, mining it is a major industry in various places around the globe. 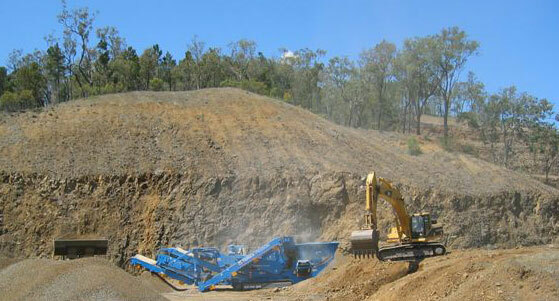 This picture shows a 15 million ton deposit in Queensland, Australia. Deposits are found in both freshwater and saltwater areas. It is a good thing DE is found in abundance for its uses are legion. Here are a few. 1. As a safe insecticide, DE is used to get rid of a variety of pests such as fleas, ticks, and bed bugs. The sharp edges of the shells cut the insect’s protective covering. This makes it dry out since DE is such a good absorber. If the bugs eat it, it shreds their insides! 2. 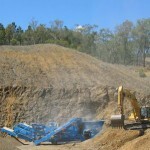 This absorbing quality makes DE useful in cleaning up toxic wastes and for things such as facial masks and cat litter. In industry, DE is used in grain storage because it kills pests, absorbs moisture, but doesn’t clump. 3. In 1866, Alfred Nobel found that when nitroglycerin was soaked in diatomaceous earth, it was more stable. This led to the invention of dynamite the next year. 4. Diatomaceous Earth is used extensively in filtering. Celite is a brand name of DE used in swimming pool filters. It is also used in drinking water filtration, fish tanks, even in filtering syrups. DE is used to as a thickener for paint, soap, paper, and detergents. 5. DE has several health benefits. Its qualities of absorbing make it a great colon cleanser. Its hardness works to scrub out the digestive system and restore regularity. More health benefits can be found in the links found below the article. Evolution explains these tons of microscopic shells deposited around the world as the remains of processes that took place over millions of years. 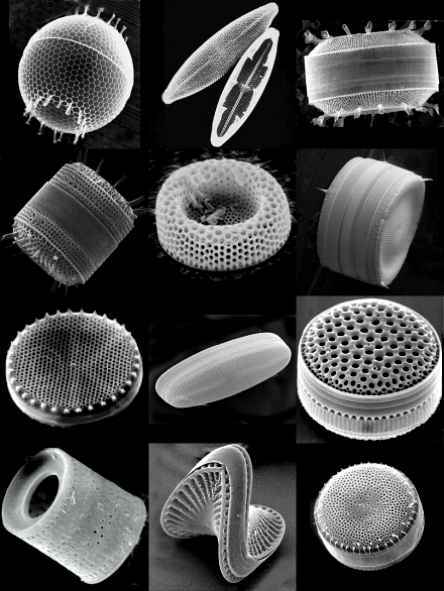 A better explanation is that diatoms lived in abundance before the flood and were buried as the worldwide flood waters calmed. Herein is a wonderful lesson about God’s ways. Billions of tiny creatures died in God’s judgment. Yet, now their remains help to make life better. God brings good from judgment, beauty for ashes, joy from mourning (Is. 61:3). God’s ultimate example of this is the salvation He provides through the hateful murder of His Son, Jesus Christ. Do you know Him? After my teenage son and his gilrfriend brought bed bugs home from one of their teenage friends apartment, I was horrified this was going to be an ongoing problem. I read all about bed bugs on the internet and was very distressed. Both my brand new couches were infested. I originally thought it was from the factory until she came over one day after they slept over (john does) house a few nights in a row covered head to toe in bites. Their friend has since thrown out the furniture. My older daughter and I searched and found about 5 or 6 fully grown bed bugs hiding in the cloth parts of my leather couches. A tiny nest of real little ones were found hiding in the zipper flaps and I was near tears because of how very hard it was to see them. I cleaned, sprayed and vacuumed the furniture until the sweat poured from both our faces. I repeated the process two times a week for about 3 weeks. Things were ok for a week or two after that, then small bites started to appear again on anyone who slept or sat on the furniture for a long period of time. How much more could I do?? Throw out my new furniture?? NOT a happy camper. I read about this product that contains diatomaceous Earth and ordered it. I read that if the bugs crawled thru it to get to the host it would kill them. I vacuumed both couches again and sprinkled this powder under the cushions and in the cracks, basically covering any path they might take to get to whomever was sitting or sleeping on the furniture. Sprinkled alittle on the carpet around the legs of the furniture also. Hoped and prayed and sure enough, after only one application, the bites stopped, not one sign of the infestation since then. It has been three months now and not one bite. I really recommend this if anyone has a bed bug problem.